Let me get my biases out of the way: I freaking love the Switch. I love it handheld so much that I haven’t even seen it to be worth purchasing a pro controller to play it docked. So yeah, spoiler alert, I think Switch is the best console on the market right now. First a disclaimer: I am only talking about consoles. For me, a gaming PC is the best purchase since a gaming PC is also a good PC, which I would use for school, media consumption and—well, you get the picture. It’s a 10 in 1 type purchase. But that being said, let’s dive into this pool of evidence I’ve gathered that’ll be ignored by angry fanboys. I’m of the belief that hardware is the least important aspect when debating consoles—nay, the meat is in the games. But first we have to talk hardware as it is, in my opinion, the Switch’s only weakness. The lower specs of the Switch lower its games library, as developers making more demanding games are wary of putting the resources towards making a port that runs well. Playstation and Xbox, however, are the prime target of most major developers nowadays, and therefore many of these “staple game franchises” such as Call of Duty or Assassin’s Creed probably won’t be coming to Switch any time soon. However, the fact that Doom runs so well on the Switch does boast a realm of possibilities. 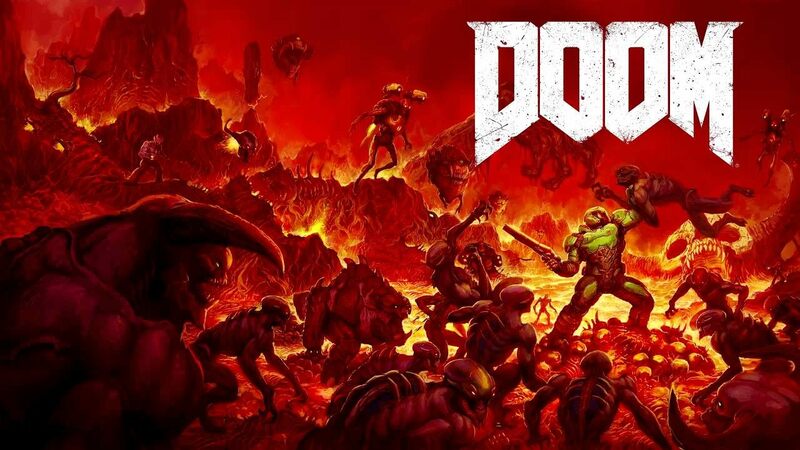 Speaking of Doom, it’s time to discuss games. Xbox One has largely been a failure in this arena, whereas Playstation 4 has had the best games for years. Uncharted 4, Horizon: Zero Dawn, and more recently God of War have been but a few of the standouts. Some more may be on the way with Insomniac’s Spider-Man and that samurai Bloodborne type game by From Software. But then there’s the Nintendo Switch. It LAUNCHED with The Legend of Zelda: Breath of the Wild, generally accepted as one of the best games of all time, and later that year got Mario Odyssey. Nintendo has been firing on all cylinders for a year now and they still aren’t done. But the fact that the Switch’s library of exclusives rivaled the Playstation 4’s within a year of release should definitely tell you something. With the sales of the Switch, it’s likely that other companies will be devoting their resources to the Switch as well. In the end though, it all depends on what you’re looking for in a console. If you have a PC already I’d highly recommend grabbing a Switch for all the amazing exclusives. If you just want to play some CoD or Destiny with friends, buy the console which most of them are on. But if you want the console with the best games and the best physical experience, Switch is the way to go. The switching (pun not intended) between handheld and docked has proven to be more than a gimmick and more like a saving grace, and I personally am behind on all the awesome games that have been released for the system. How am I supposed to beat Xenoblade and Disgaea 5 before Octopath Travelers comes out and dominates my life!? I have no one who wants to hear my rants about video games and movies, a passion for writing, and a Red Bull addiction. Two of those lead to me writing stuff, and the other enhances the experience. You decide which does which.